Higher discounts at some automakers, rising pickup truck sales and increasing consumer confidence pushed up industry sales in May, giving the overall U.S. economy a shot in the arm. General Motors reported its strongest monthly sales since September of 2008, right before the market for cars crashed. 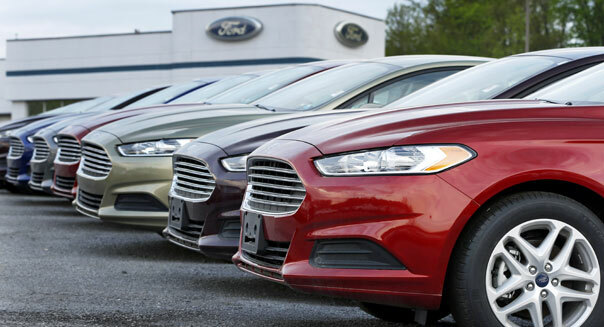 Chrysler, Ford, and Toyota also reported increases. Nissan notched its highest May sales ever after cutting prices on seven popular models early in the month. Only Volkswagen said sales fell compared with May of last year. Strong sales are another sign that the auto industry will continue to boost the U.S. economy, as consumers replace aging vehicles and businesses invest in trucks as they gain confidence and home-building picks up. Builders are buying pickup trucks at a rapid pace as home construction continues to rebound. Ford said sales of its F-Series pickup -- the nation's best-selling vehicle -- hit 71,604, their highest sales since March 2007. Chrysler Group said Ram pickup sales jumped 22 percent from last May to almost 32,000. Chevy Silverado sales rose 25 percent to more than 43,000. "Cadillac is back." said Bob Ferguson, vice president, Global Cadillac. "Our growth is product-driven, new luxury vehicles with dramatic design and performance drawing new customers to showrooms." BMW was up 8 percent. Mercedes-Benz and Acura were both up 10 percent. Jaguar and Land Rover were up 13 percent and 12 percent respectively. Even though economists and government statistics show wages flat against inflation, consumer confidence has been rising in the face of a climbing stock market and rising home values. General Motors sales were up 3 percent, but Ford's were up 14 percent and Chrysler was up 11 percent. Chrysler said it was the best May sales report in the last six years. Nissan sales gained 25 percent over a year ago. The total of 114,000 set a company record for May. Analysts expected a big month after Nissan cut prices on seven models. The average vehicle in the U.S. sold for $30,978 last month, a 2 percent increase from May of last year, said Truecar.com. Despite Nissan's big price cutting move, automakers overall cut incentives such as rebates and low-interest loans by 3 percent to an average of $2,482 per vehicle, TrueCar figures show. GM and Ford shares were trading higher than the Dow Jones Industrial Average.